During last several weeks, we were working on a new bag page design to improve the user experience on our site. Today all our bags get a new look. 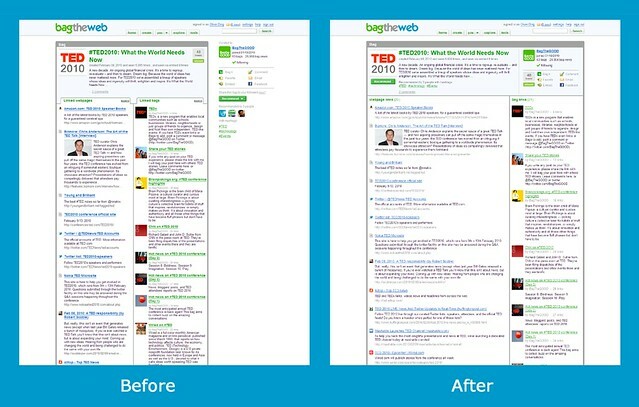 Beyond most curation tools’ capability, BagTheWeb enables users to build networks of bags. This way bags can be linked together to provide rich and complete information about any topic. 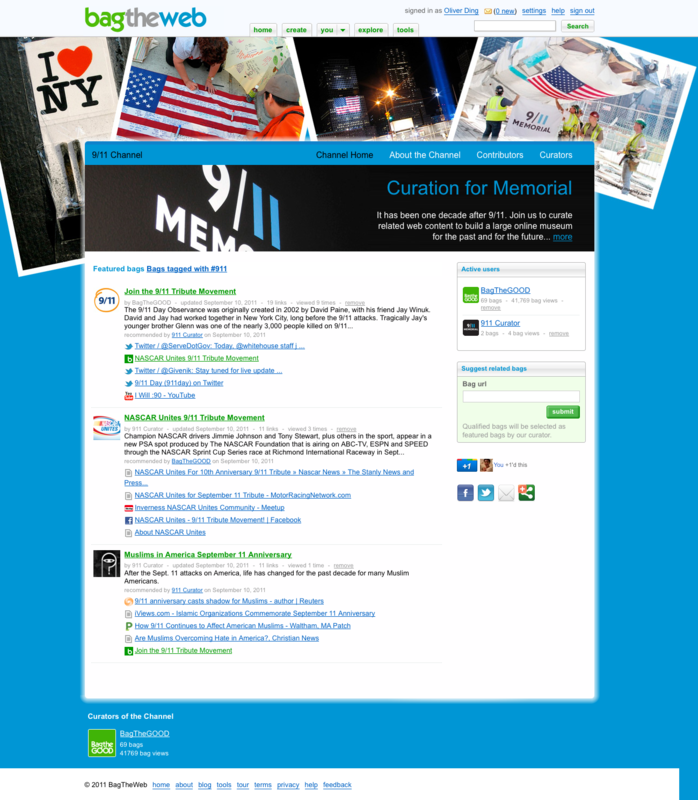 The new bag page design aims to bring you an effortless way of building networked curation. 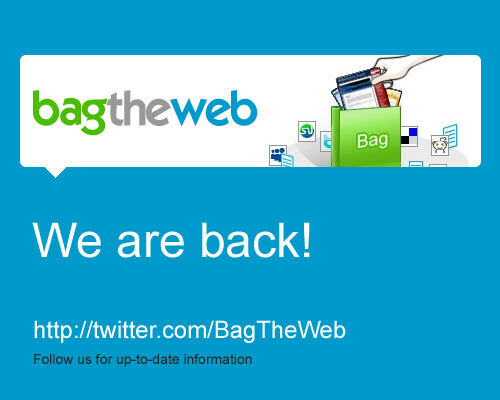 Here is a brief description on the new bag page and other changes. Instead of expanding tabs, now every bag page has a fixed, two-column layout, for both public view and editing modes. For bag readers, the current webpage links section is wider than the old one. The wider layout brings a more eye-friendly browsing and reading experience. This is also good for bag creators who can see exactly what a bag will look like when it’s published, without switching between edit and view modes. The new layout moves the recommend button under the bag icon and separates it from the regular share buttons. 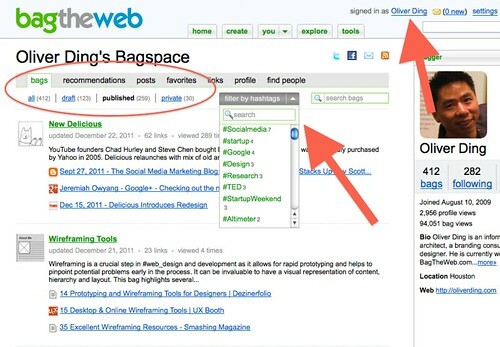 This makes the recommend button more outstanding to encourage you to share more interesting bags to your followers, no matter if you are the bag’s creator or not. The recommend box uses a pop-up window. You can write additional comments comfortably with a bigger edit box while you are recommending a bag. 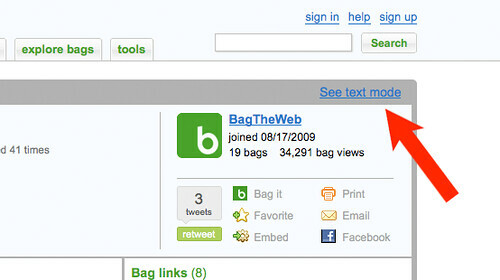 Hashtags people used are also displayed at the bag summary as a part of the identity of a bag. 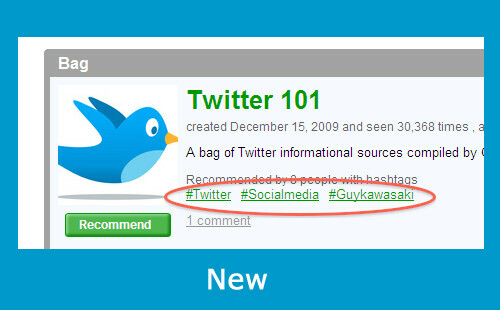 It is useful for bag readers to explore more related bags through the hashtag page. 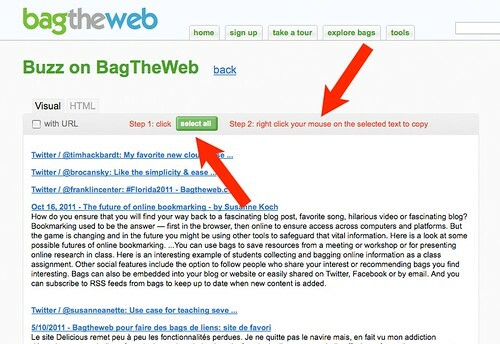 If a bag doesn’t have any bag links, the old design hides the whole bag links section from the bag page. The new layout always display the bag links section. The result is that bag pages have a consistent, easy to read layout. 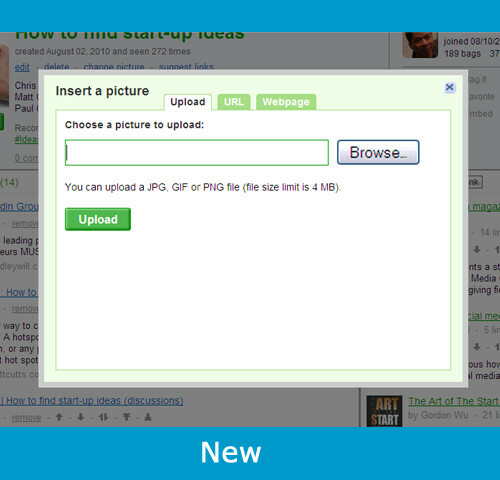 We implemented a new, more user-friendly process for uploading a picture. Now you can insert a picture three ways: upload from your computer, grab a publicly available image URL, or select from a set of images found on a particular webpage. 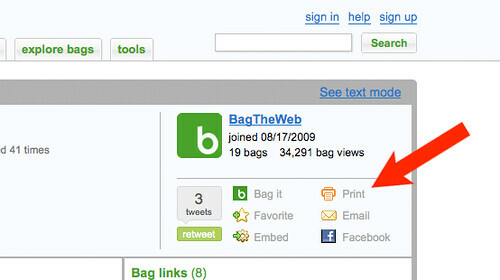 For bag icon, user icon, and post’s picture, you can use the first 2 methods but not the last. Hashtags people used when they recommend bags is a great way to explore quality bags. The new explore page displays a cluster of popular hashtags at the top. All you need to do is add a link to a bag, and the video or photo will be recognized automatically and become embedded into the bag. 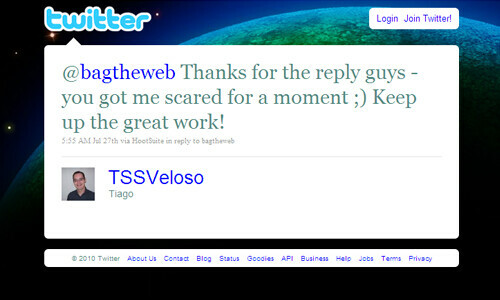 We will add more sites to the supported list soon. 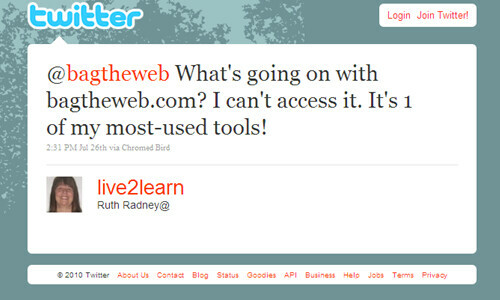 Try it yourself to see if the above change if it is more friendly, helpful, and fun to you. As always, we are eager to hear what you, our baggers, think about these new changes. Click on the “feedback” link at the bottom of any page and tell us what you think.